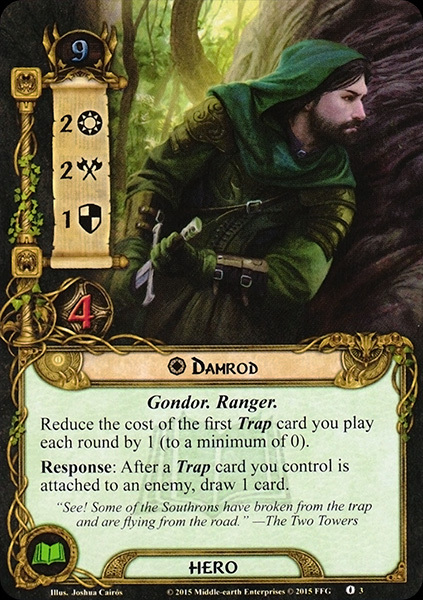 Damrod was the companion of Mablung and a trusted guard of Faramir. 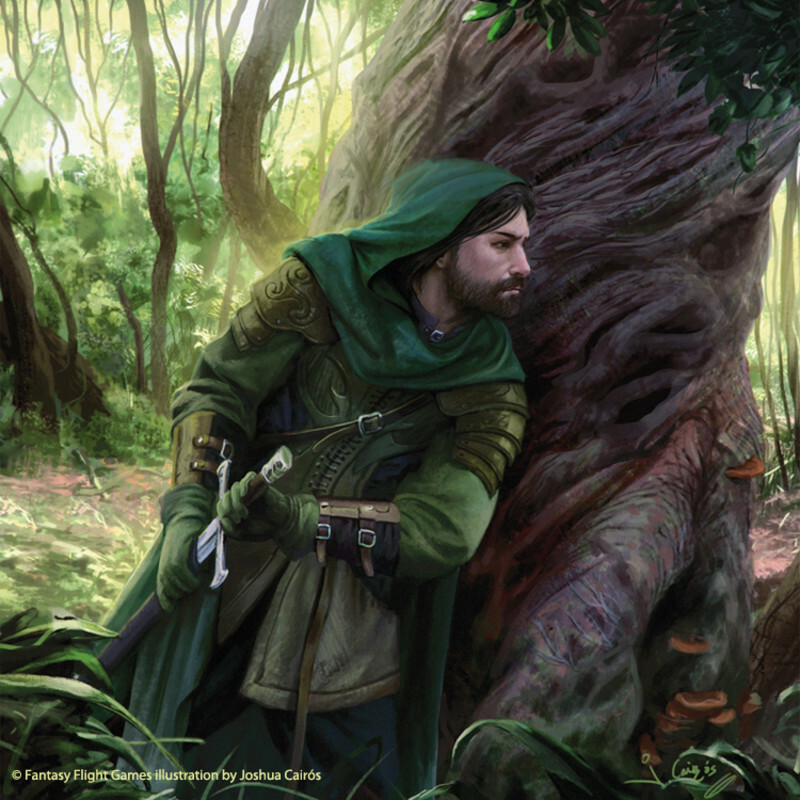 Together he and Mablung watched Frodo and Sam during the ambush of the Men of Harad in Ithilien. 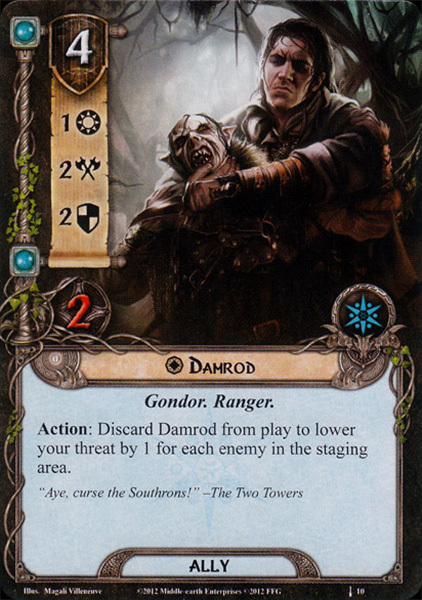 While they waited before the battle Damrod told the hobbits of the Enemy's dealings with the Southrons. Damrod had little hope; he believed 'the days of Gondor are numbered, and the walls of Minas Tirith are doomed'.